NEW YORK; November 15, 2016— Accenture (NYSE: ACN) has expanded its strategic alliance with RichRelevance, a global leader in omnichannel personalization, to strengthen the capabilities of Accenture Interactive and boost the personalization services it delivers to global clients. As part of the expanded relationship, Accenture Ventures has made a minority investment in RichRelevance. © Accenture 2016. All rights reserved. Accenture (NYSE: ACN) is a leading global professional services company, providing a broad range of services and solutions in strategy, consulting, digital, technology and operations. Combining unmatched experience and specialized skills across more than 40 industries and all business functions – underpinned by the world’s largest delivery network – Accenture works at the intersection of business and technology to help clients improve their performance and create sustainable value for their stakeholders. With approximately 384,000 people serving clients in more than 120 countries, Accenture drives innovation to improve the way the world works and lives. Visit us at www.accenture.com. Accenture Ventures accelerates the adoption of early stage enterprise technology innovations. It identifies the most promising sources of innovation in the market, working with start-ups, entrepreneurs, investors, academic R&D, and corporate R&D groups around the world. Accenture Ventures develops alliances and partnerships to more quickly scale innovation. It also participates as a strategic investor where appropriate – always aligned with the objective to deliver the most innovative solutions to our clients. Shop.org Retail’s Digital Summit — Dallas, TX — September 27, 2016 — RichRelevance®, the global leader in omnichannel personalization, today released new research that drills into how U.S. consumers search for and find products online. While site search is critically important to shoppers, the study suggests that many retailers have not evolved site search to meet the demands of an omnichannel world. The result is that frustrated web and mobile shoppers are likely to go elsewhere when retailers don’t get it right. 8 in 10 Americans (83%) say that the search box is extremely important or important when shopping on a retailer’s web or mobile site. Less than 1 in 10 (5%) say site search is not at all important. Comparatively, 6 out of 10 (56%) say that the search box is extremely important. 3 out of 4 shoppers (76%) always or often use the search box when shopping on a retailer’s site. In contrast, a mere 7% say they rarely or never use the search box. 3 in 4 Americans (73%) are likely to leave a retail site that doesn’t provide good search results – and 37% say they are not at all likely to return. Nearly 4 out of 10 Americans (37%) state site search is ‘more important’ when shopping for gifts than it is otherwise. Half of all shoppers (48%) rank the ability to ‘easily search and find products’ as the single most important thing when shopping for gifts on a retailer’s site. In contrast, product ratings and reviews (the second most popular features) received 26% of the vote. Curated gift ideas, a traditional holiday staple, are far less important to shoppers with only 5% of respondents ranking these as most important when gift shopping. More than a third of U.S. shoppers (35%) are generally unsatisfied with the search results they receive on a mobile device. Nearly 4 in 10 (38%) say they get worse search results when shopping on their mobile device than laptop or desktop. Consumers cite ‘irrelevant product results’ (28%) as the #1 frustration with site search. More than 1 in 3 (36%) would like to see search results personalized to them based on their previous shopping behavior. The survey of 1,006 U.S. shoppers was conducted online in September 2016. Take a moment and think about how you interact with your mobile device, how do you research or make purchases on your mobile phone? You’ll quickly realize that your path to purchase most often begins with a keyword search, which often is vastly different than how you navigate a dot-com site or your local brick and mortar retailer. Infact, 56% of all retail searches occur on mobile devices. Mobile access has changed the way we as consumers interact with the world and it has significantly changed the path to purchase. Mobile was once used for showrooming purposes, sending retailers into a tailspin about how to ensure shoppers didn’t browse in store and convert elsewhere. Today, our challenge is different, mobile devices and behaviors have evolved, they’re more intelligent and more capable to handle a complete shopping journey. While showrooming and browsing behaviors still occur, the completion of the purchase on the mobile device is accounting for more and more of a retailer’s revenue. According to Internet Retailer, mobile commerce is growing at 3 times the rate of US ecommerce overall, accounting for more than $104 billion in 2015. Today’s challenge is focused on how retailers ensure that customers are finding what they’re looking for on mobile devices so that they ultimately convert. This begs the question, how well is your site search performing? Are your customers finding what they seek? Is your site search delivering a customer centric and mobile considerate experience? What metrics are you using to determine it’s success or failure? The traditional and dated way of measuring site performance (and commerce search within) by Revenue Per Session (RPS) and conversion were valid when ecommerce was simply just a dot-com site, which is not the case for today’s world. Today, it is essential to measure the performance of each individual feature that leads to a purchase/conversion. In the case of site search, success is defined by the relevance of the results delivered by a search engine to an individual user. Search is innately unique in the respect that it is the single place in digital shopping journeys where users communicate with technology in their own words and expect a comprehensive response or set of responses. By default, search demands 1:1 communication, and is one of the most impactful places to influence and enhance the customer experience. Search is often a retailer’s first impression, especially on mobile, it is a critical opportunity to succeed by providing relevant and individualized results. Commerce Search accelerates product discovery and drives consumer conversion by delivering the most relevant results for each unique search query. The accuracy of the responses delivered by search is measured by what is known as “Findability”. Findability a term first coined by Professor Michael Hendron, whose research indicates that nearly a third of e-commerce shoppers use site search, and 90% of buyers will probably use it. Yet these same sought after buyers only find what they seek in half of all site searches. Since when did the retail industry accept a success rate of just 50%? Given that search is a feature most often chosen by a determined and informed consumer who knows exactly what he/she wants, especially in ecommerce, it is essential to measure how successful the actual search experience is for that individual. This is why Findability must be a focal point of consideration when analyzing the performance of site search. Findability tells merchants whether consumers find what they are looking for and if they are ultimately pleased with those items. The conversion of these shoppers can only come if they have in fact located the items they desire. It is a cause and effect relationship, and a relationship that if treated right will thrive. When consumers trust that their searches will yield results they’re satisfied with, their search frequency and dependency simultaneously increases. Are you measuring your site search properly? Are your customers finding what they’re looking for? Perhaps the metrics you’re currently using to determine performance are not providing you with the whole story. 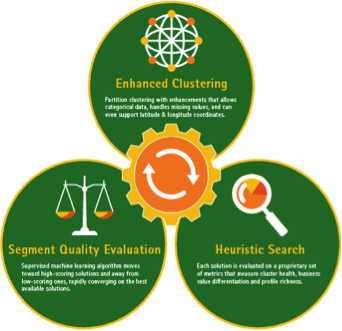 To get deeper insight into how to enhance your site search performance and learn more about Findability please visit http://www.richrelevance.com/relevance-cloud/find/ to stay in the know about our newest product launch Find™, the next generation of personalized search for an omnichannel world. Did you know that almost half (48%) of page views are anonymous? I suppose this wouldn’t be so concerning if it didn’t result in 13% anonymous purchases. If only online shopping were simple and mandated that users login and only had one account, this problem would be solved, unfortunately for us, this isn’t the world we live in. So how do we encourage more logins? You could do what Priceline.com did and run a TV ad saying, “If you don’t sign-in you’ll die”, but I’m inclined to think this might be too racy for many of you. That said, they made their point, and if you do sign-in, not only will you not ‘die’ but you’ll also get a better deal. Here are some ideas for how to increase your logins and simultaneously enhance your personalization capabilities. Product: Provide better products or features to those who login. Amazon, Wine.com, Nordstrom, Williams-Sonoma, JCPenney and many others provide product recommendations pages that are much more relevant when you are logged in. Placement: Provide personalized features in all channels including desktop web, mobile web, email, mobile app and mobile app used in-store. Price: Offer better prices or relevant discounts when logged in. Soft logins: This is when a user logs-in on a device, the retailer writes their user ID to a first-party cookie, the user logs out, and the retailer continues to use their user ID for the current and subsequent visits. Many retailers put a time limit on the cookie, such as 14 days between logins. Provisional user ID: A temporary ID whose behavioral history is copied to a user profile when the user eventually does login. RichRelevance can use our third-party cookie IDs or a retailer’s session ID as the provisional ID. User matching comes in many shapes and sizes, the complexities of data and channels have created an entirely new obstacle for retailers and brands to overcome. Some select flavors include multiple accounts per user, matching in-store and web shoppers, cross-device and cross-brand matching. While the user matching hurdle might seem unattainable, trust me it’s not. There are many ways to not only combat the user matching problem, but to also make great use of the surplus of data that becomes available with a multitude of users even if they’re the same person. To learn more about how you can start matching users and creating more robust and complete shopper profiles download our latest white paper, The 5 Types of User Matching Challenges and How to Solve Them. Last week over 300 in-store innovators from over 150 retailers gathered in Seattle for the 2016 Future Stores Conference. Future Stores brings together retail operations, omnichannel, customer experience and IT executives to focus on in-store innovation and how to bridge the digital and physical retail environments. As part of this we learned that there’s a fine line between creepy and cool, especially when it comes to digital technologies in-store. If you can recall a time pre-Facebook Newsfeed, or dare I say Facebook in general, then you know how easily perceptions of personal privacy invasion can be shifted. 15 years ago virtually everything about the Internet would have been perceived as outrageously invasive and today we welcome and seek out attention from strangers via likes on social channels. So in interest of keeping a real-time pulse on what customers think is actually cool today vs. what’s really just creepy, we’ve conducted our ‘Creepy or Cool’ Survey for the second year running. You can scan a product on your mobile device to see product reviews and recommendations for other items you might like. Soon after you leave the store, you receive a digital coupon for a product you looked at but didn’t purchase. When you check out, your print or email receipt includes product recommendations selected just for you. 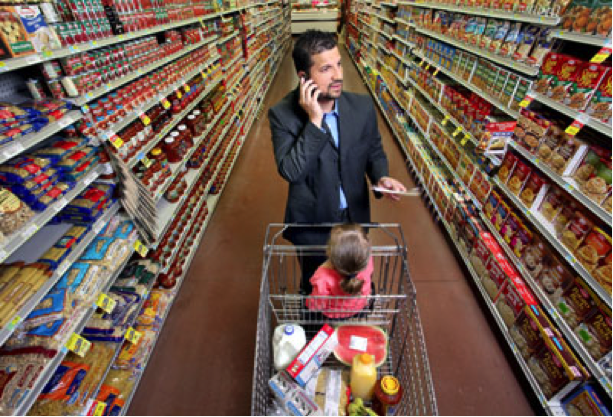 Your location in the store triggers personalized product information, relevant content, recommendations and discounts to pop up on your mobile device as you walk the aisles. Digital screens in each dressing room show products that complement the item that you are trying on. A salesperson makes more helpful suggestions because they can see what you’ve previously browsed and bought on their site and in the store. Facial recognition technology identifies you as a high value shopper and relays this information to a salesperson. Want to read more? Keep reading here. The survey of 1,018 US consumers was conducted by RichRelevance in May 2016.